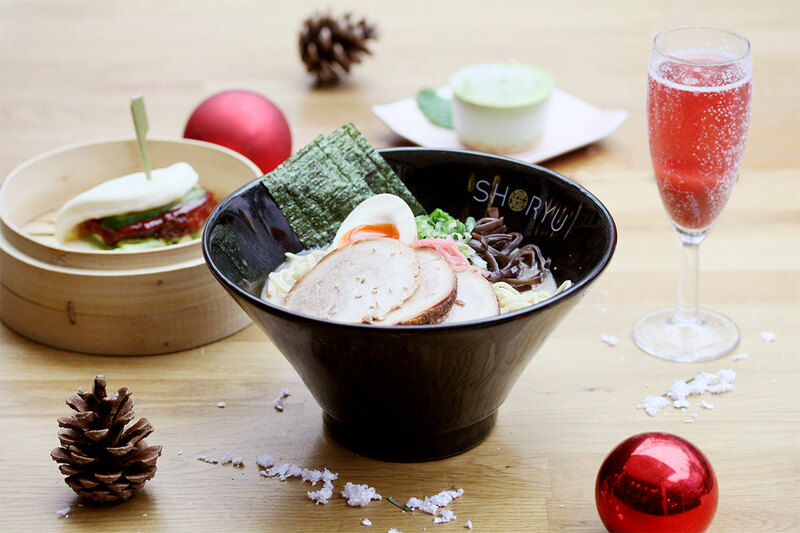 Celebrate the joys of Christmas at Shoryu this year and join us to indulge in the wintry festivities. From Christmas parties, cocktails and set menus, we’ve got you covered in more ways than one! Please note a number of seats are also reserved for walk-ins. 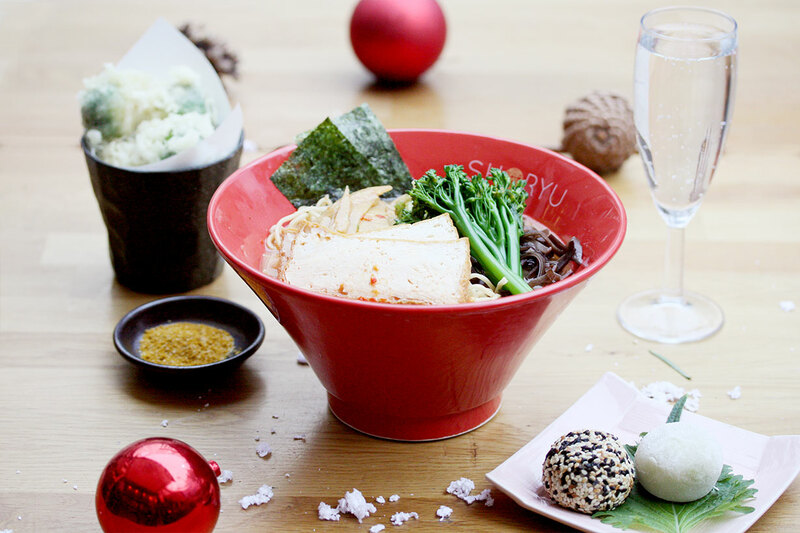 This season we’ve pieced together the ultimate in Japanese dining, you’d think Christmas had come early with our Christmas set menus. 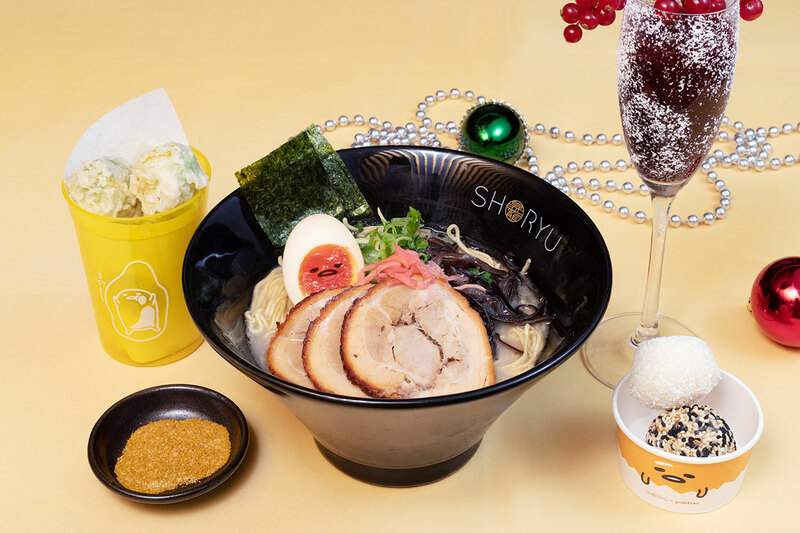 After gift shopping for family, friends and everyone else in the winter air, step into Shoryu to warm up with a steamy bowl of authentic Hakata tonkotsu ramen. 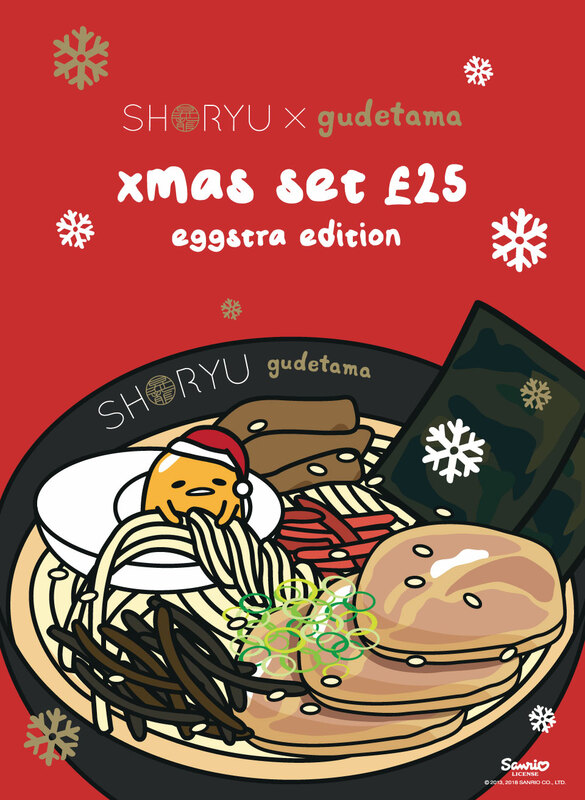 Gudetama is making a Christmas cameo in our festive set menus at Shoryu New Oxford Street in London, Manchester and Shoryu Oxford! If you're like us and can't get enough of this lazy egg, head on down for a charming 3 course feast, cocktail and free keyring for just £25! While stocks last. Book this eggcentric set menu now to avoid disappointment. Looking for a unique venue to party with your friends or colleagues this Christmas? Look no further than our Soho Private Dining Room at Shoryu Soho which seats 16 guests. 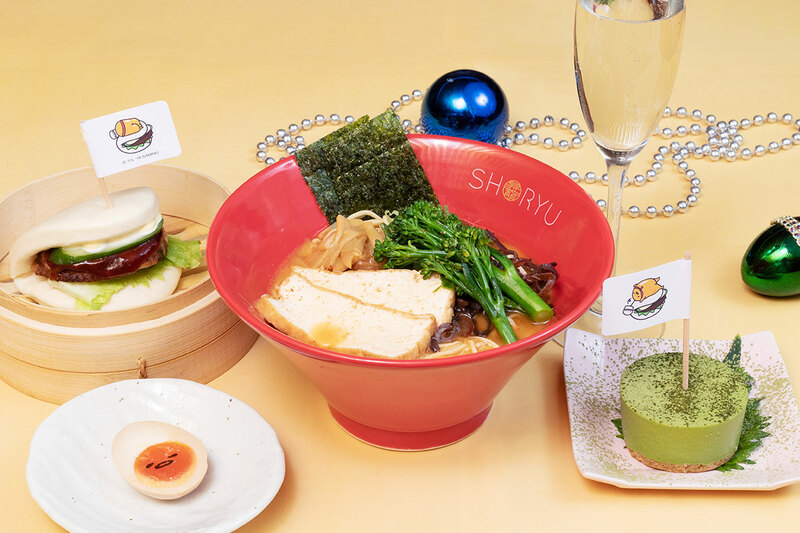 Celebrate in a cool and contemporary Japanese setting while gorging on a Japanese Christmas feast. Fancy a cocktail party with Japanese bites instead? No problem, we can do that too! For more information on our Private Dining areas, email us to discuss your party needs. To confirm your Christmas party booking we will ask for a deposit of £5 per person. Minimum party size of 15. Set menus available from £25. Minimum bill total of £375 plus service charge. If you wish to cancel, please let us know 48 hours before the booking for a full refund. This Christmas, enjoy a full range of Suntory Whisky at our Suntory Toki Bar at Shoryu Soho. Standing or sitting, enjoy a festive, intimate atmosphere made even better by Japanese street food bites and flavourful whisky. Just head down to our basement bar at Shoryu Soho and enjoy the perfect pairing of Shoryu and Suntory Whisky. Open every day from 5pm til close.